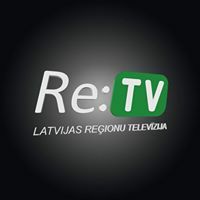 General TV Channel / Television of the Republic of Latvia "Re: TV" is a national television channel, the content of which involves the associations of Latvian regional and local television and independent producers. Re: TV provides information - news broadcasts, radio broadcasts, live shows, portraiture, and more. the current video transmission from all regions of Latvia on one television channel available to any Latvian and foreign viewer.